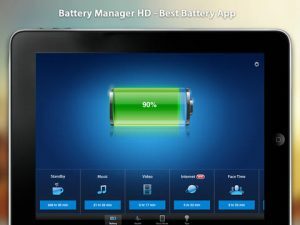 Battery Doctor is a well known battery management app which is mainly known for its amazing features and cross platform compatibility. 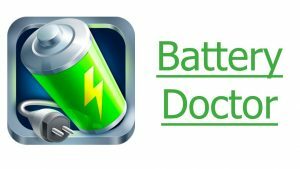 Battery Doctor allows users to see the current status of the battery, how long it is going to charge fully and how long the device would run on battery. The app shows all installed apps and processes as well as their consumed batter power. This way you can see which apps are using excessive amount of battery. 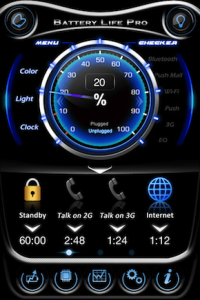 You can also schedule toggling features like GPS, Wi-Fi, Mobile Data and Brightness to save battery. 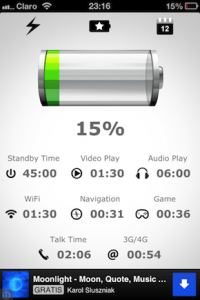 Carat is created by UC Berkley and University of Helsinki; this is a unique app that does not work like other battery saving or battery management apps. You can install Carat on your Android and iOS devices; after the installation process, Carat scans all the apps and the data regarding their power consumption. It sends that data to the server from where analysis team takes a week or so to send recommendations back to the user. This is the approach you might not have in your mind but it sure does increase the battery life. Battery Life Pro does not have a sleek interface or minimal design but it mainly focuses on features and functionality of the app. You can not only change the color scheme of the app but also can choose up to six features or apps installed on your device to show in the main screen. From there you can see for how long you can use these apps on your device. Battery Life Pro is available or free on iTunes. 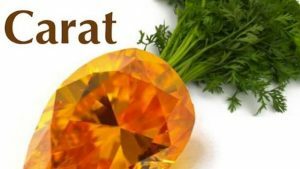 Normal is roughly based on the idea of Carat but it responds faster and comes with a sleek design. You can download Normal from iTunes for $0.99 that seems a fair price considering its features and amount of time/money it could save. After installing the app, it automatically scans all the apps installed on the device and sends that data to the cloud server which responds immediately with some suggestions, recommendations and information about apps that are using too much battery power. It also shows the amount of battery you can save by uninstalling or avoiding certain apps. 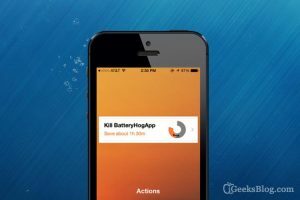 Battery Manager looks like a pretty standard battery management app at the first glance but it is packed with some amazing features that no other battery saving app for iPhone possesses. For starters, Battery Manager comes with basic features of showing battery status and the amount of time the phone would last without charging. It also shows the amount of time it would last on certain processes or apps like listening to music and talking. The amazing feature is you can set the amount of time you are going to run a certain app on your device. For example, you can select 6 hours on music listening and the app would adjust the remaining battery power accordingly. Battery is a battery management app that comes with a clean, simple and sleek design. While other battery management apps for iOS devices are focusing on presenting more and more information, Battery uses the opposite approach by showing only the most important information. It shows battery status at the top so you can see how long it is going to last. Other than that, the app shows some of the most important features and apps you have installed on your device and how much time you can use those apps or features; for example, video play, audio play, navigation, gaming and others. Is it Safe to Install Apps From Third Party Web Sites? How to Keep Your Cell Phone at Peak Performance?